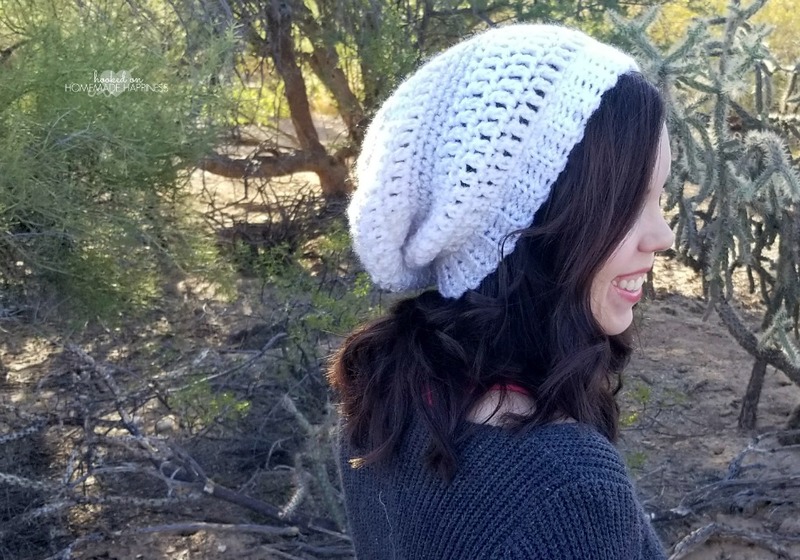 This Easy Slouchy Crochet Beanie Pattern is true to its name… it’s both super slouchy and super easy. It fits loose and comfortably. Plus, this colorway is everything. 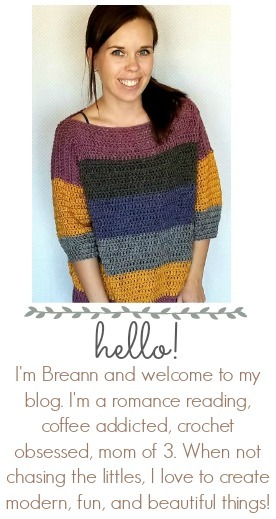 I had some of this gorgeous yarn leftover after making my COZIEST CROCHET CARDIGAN and I had to use it again. 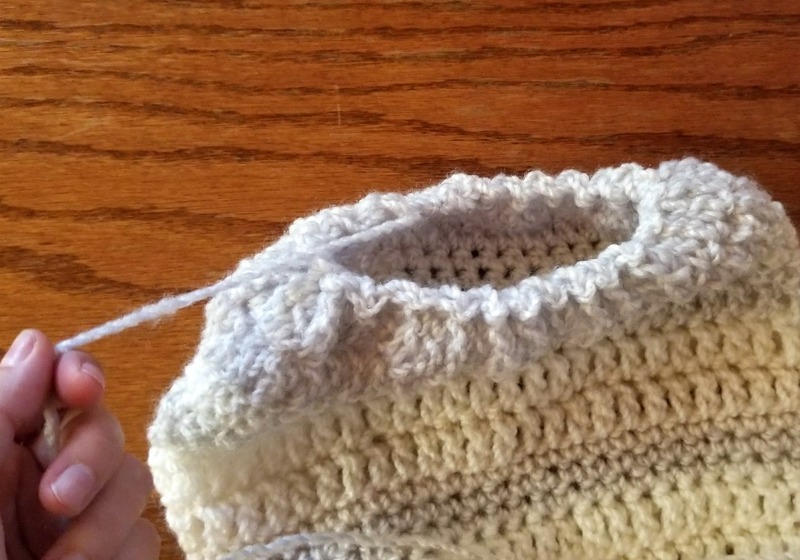 I love the slight texture and the subtle color changes in this yarn. 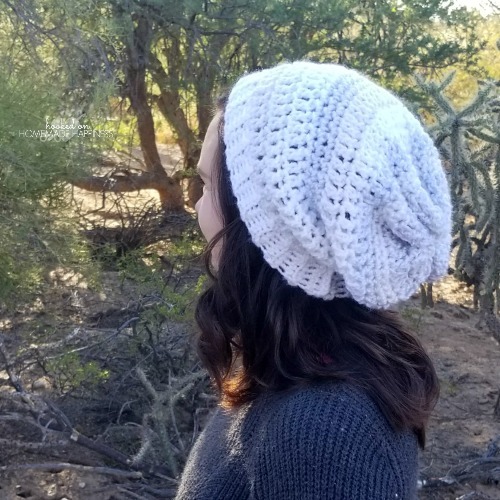 This hat uses only basic crochet stitches. Because of the touch of texture, there isn’t a need for any special stitches. 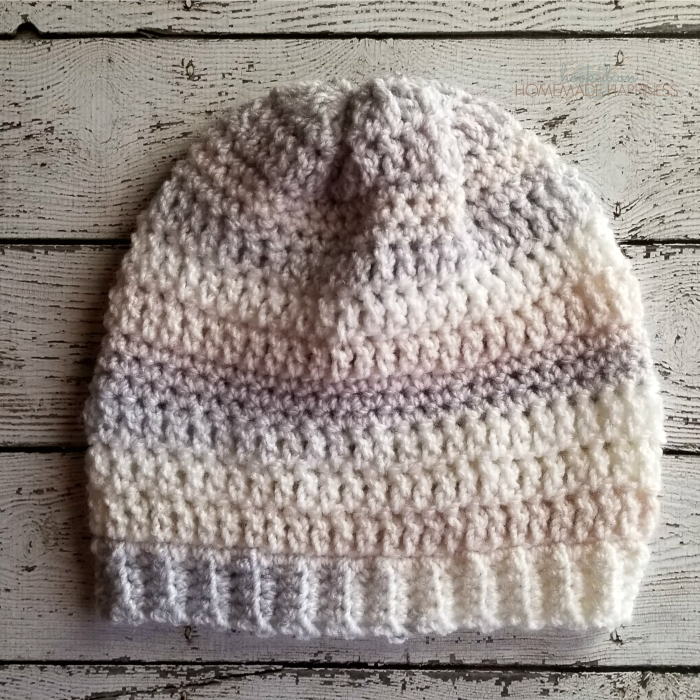 This yarn is beautiful all on it’s own! 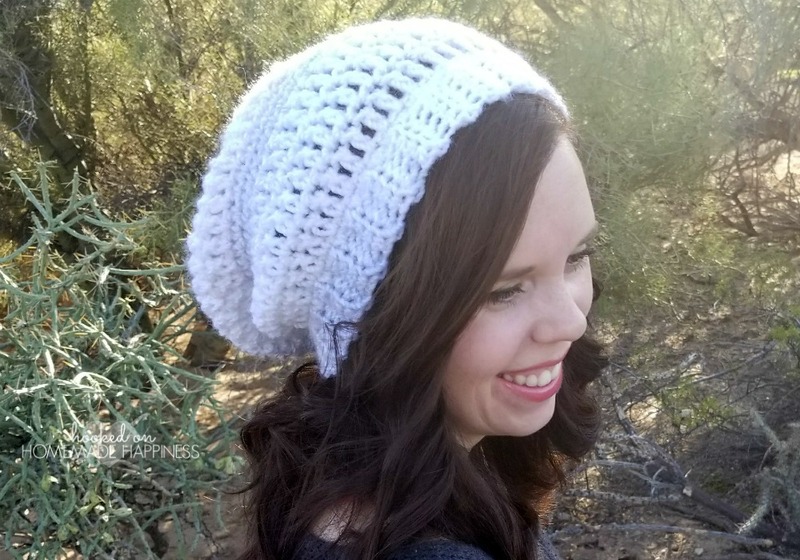 This pattern is available as an inexpensive, clearly formatted, PDF instant download HERE in my Etsy shop. 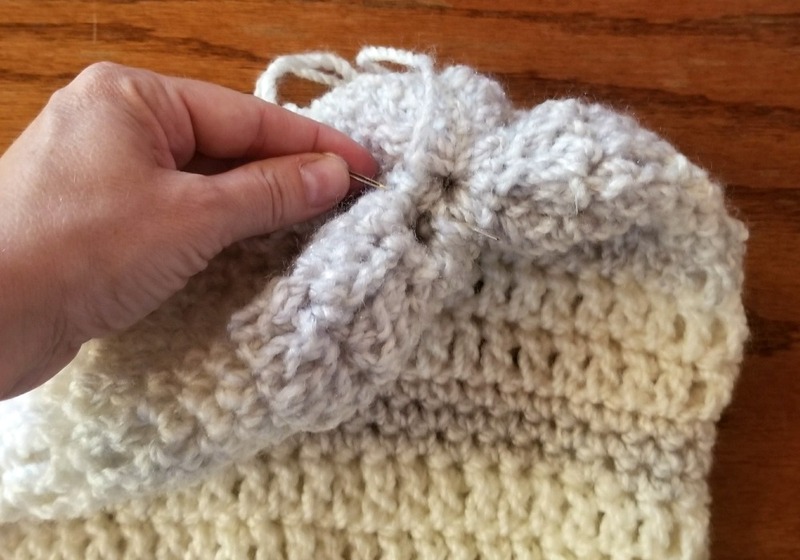 Pull the end to cinch up the top. 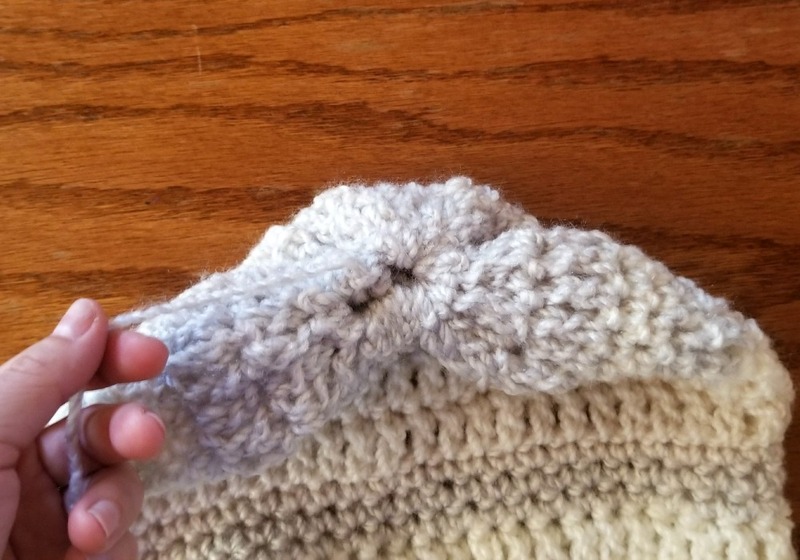 Sew the top closed by sewing back a forth a couple times through the hole at the top. An 8 hook?? Too huge!! And a 6.00 hook to make the band. 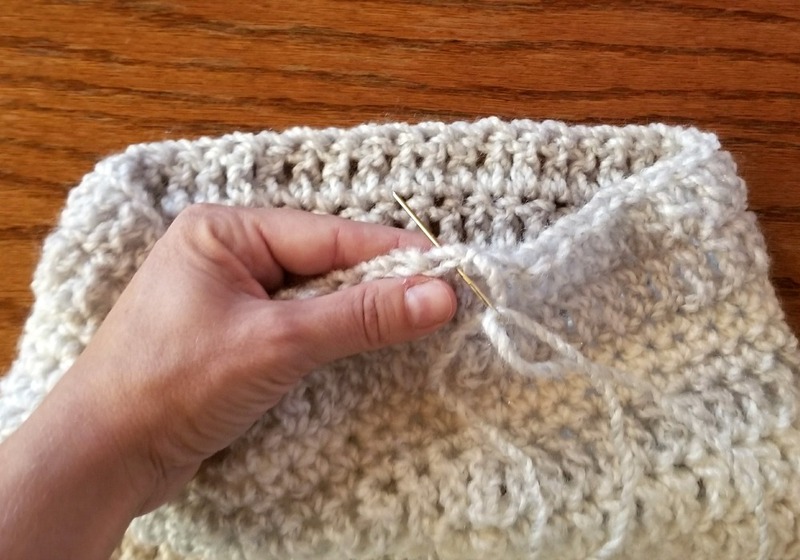 What size hook do you use for the gauge swatch?